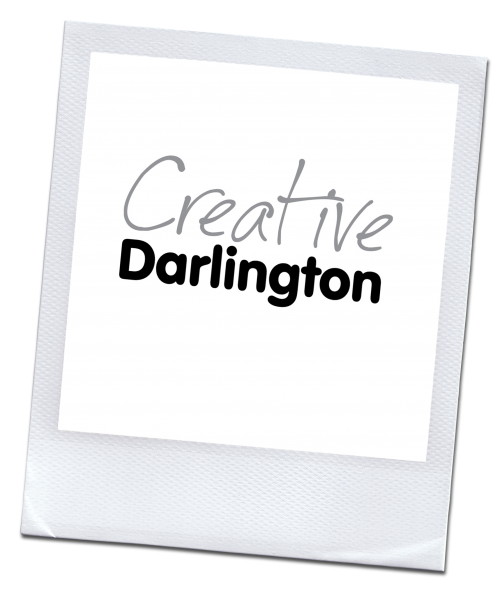 Creative Darlington is a partnership of organisations and stakeholders who share a passion to strengthen and sustain a vibrant cultural offer for Darlington. Our work is focused on arts and heritage and informed by the principles that the culture should be available to everyone, bring people together and champion inclusion and social cohesion. We value excellence, by which we mean striving to be the best of which we are collectively capable and finding ingenious ways to take things forward. Working with the Creative Darlington board, my job is to take forward and update Creative Darlington’s vision. The arts, culture and heritage bring people together, encourage self-expression, stimulate debate, explore ideas, encourage enterprise and help people enjoy themselves, so I enjoy my work. It’s great to see Darlington gaining profile for its excellent arts activity, rich culture, distinct heritage and diverse activity. Creative Darlington’s very much about bringing individuals, organisations and businesses together to create the conditions in which the arts, culture and heritage thrive. We’re committed to working with partners at a local, regional, national and international level. The board contains expertise from the private, public and voluntary sectors, across a range of interests, including arts, creative enterprise, culture, heritage and education. The board contains representation and observers from Arts Council England, Culture Bridge North East, Darlington Borough Council, Darlington Building Society, Darlington for Culture, Darlington Hippodrome, Darlington Partnership, the Heritage Lottery Fund, One Darlington (community partnership), Teesside University and Theatre Hullabaloo. Board meetings are called on a quarterly basis. developing and implementing the goals of the Creative Darlington Vision and ensuring it is constantly refreshed. advocacy for arts, cultural and heritage work across Darlington and advising on the strategic long term vision for Darlington’s arts, heritage and culture offer. co-ordinating a strategic focus on specific art forms, cultural and heritage priorities, as and where necessary. improving outcomes for Darlington and its arts offer by building strong internal and external relationships and collaborations. encouraging the development of a creative community in Darlington that supports artistic production, attracts creative professionals to base themselves in Darlington and also retains home-grown talent. effective communication with stakeholders, networks and the general public. The Creative Darlington board includes representation from Arts Council England, Culture Bridge North East, Darlington Building Society, Darlington Borough Council (Cabinet member for leisure and culture and Chief Executive), Darlington for Culture, Darlington Hippodrome, Durham Music Service, Teesside University, Heritage Lottery Fund, The Northern Echo and Theatre Hullabaloo.